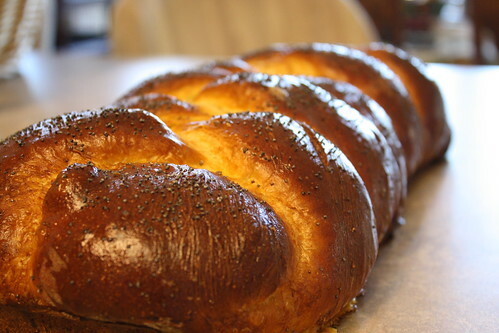 Easy, easy Challah Bread, perfect along with soup or in this case, Turkey and Dumplings! This is wonderful straight out of the oven with butter spread on it! Lightly grease or line with parchment paper one or two baking sheets. (I am using a Silpat baking mat). Add warm water, egg, vegetable oil, salt, flour, sugar, honey and yeast to bread machine pan in the order recommended by manufacturer. Select the Dough Cycle of your machine. Start the cycle. When the dough cycle is complete, remove dough from machine to a lightly floured work surface. Punch dough down and let rest for 5 minutes. Knead dough a little bit to make it easier to handle. Divide dough into 3 equal pieces and roll each piece into a 20 inch long rope. Put the ropes on the prepared baking sheet. Braid the ropes. Pinch ends to seal and tuck under dough. Cover dough with a cotton cloth and let it rise for 45-50 minutes. Brush loaf with egg wash. Sprinkle with sesame seeds or poppy seeds. Bake at 375 degrees F for 25 to 30 minutes or until it is done. Cool on wire rack. Bread may be frozen after it has cooled. 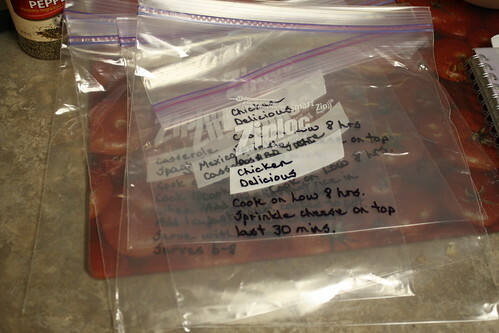 Wrap loaf in foil then place in a ziplock freezer bag. Label and date. It can be frozen for up to 3 months. Thaw for 1 hour at room temperature before serving. 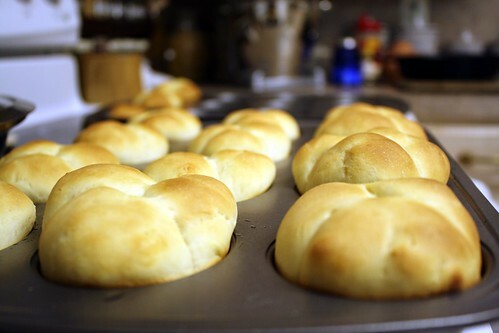 These rolls are so easy to make because the bread machine does most of the work. They taste wonderful too. These can be made ahead of time and frozen if needed. Here is the recipe for a 1 1/2 pound bread maker. It makes about 1 1/2 dozen rolls. Select recipe size recommended by the manufacturer of your bread machine. Add all ingredients except Egg glaze into bread machine pan in the order suggested by manufacturer. Process in dough/manual cycle. When cycle is complete, remove dough to lightly floured surface. If necessary, knead in enough flour to make dough easy to handle. Divide dough into 8 (12) greased 2 ½ inch muffin pan cups. Cover; let rise in warm, draft-free place until doubled in size, about 30 to 45 minutes. Brush Egg Glaze on rolls. Bake at 375 for 15 minutes, or until done. Remove from cups; cool on wire rack. What to do?? What to do?? I just hate throwing out all that potato water. You know, the water left from boiling potatoes? That water has a wonderful potato flavor and I always hate to just throw it all out. So I did a quick search on the good ole Internet to find recipes using potato water. I found one that I wanted to try. It is Potato Bread. I thought a fresh loaf of bread would be good to eat with dinner and I had all the ingredients so I didn’t have to go shopping for it. It turned out wonderful! 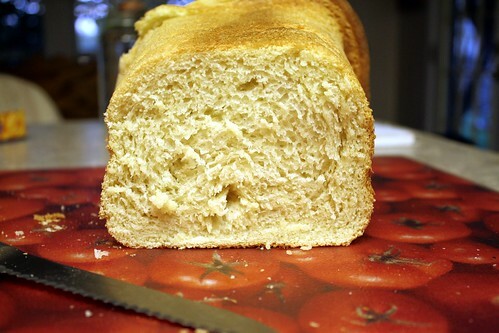 It filled the house with the great smell of freshly baked bread. It was even better just out of the oven/machine with butter spread on it! So keep that potato water! You never know what really good things you can make from it! I hope to have most of the Thanksgiving meal fixed ahead of time. I want to spend my time visiting with company instead of cooking in the kitchen. I am going to cook the turkey on Thanksgiving day. There is just something to be said about the wonderful smell of turkey that goes through the house. If you want to follow along, I will be cooking other dishes for Thanksgiving and freezing them. After Thanksgiving I will be preparing for Christmas and cooking freezable goodies. The first thing I am cooking and freezing ahead of time is mashed potatoes. I have never tried this recipe but it seems like it would work. 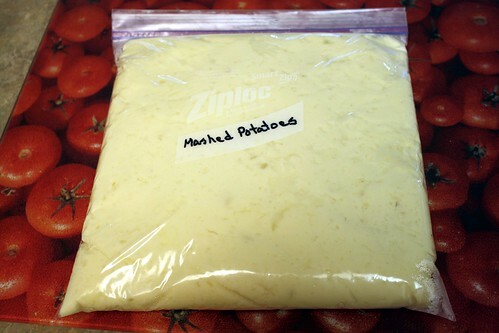 I froze all the mashed potatoes together because I am having quite a few people for Thanksgiving but you can freeze this in smaller containers that is more meal sized for your family. Peel potatoes. Boil in water until soft. Drain. In a large bowl combine potatoes, egg, garlic powder, salt, cream cheese and milk. Mash by hand or with an electric mixer. Freeze potatoes at this point. I put mine in a ziplock freezer bag. May put potatoes into smaller freezer bags. Cooking directions: Thaw potatoes. Place in a 3 qt. 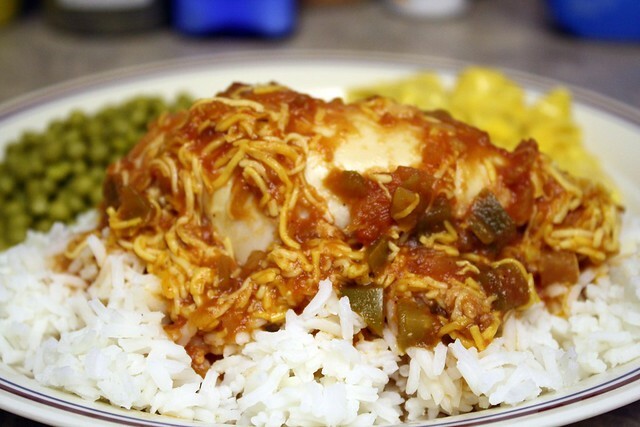 buttered casserole dish. Drizzle butter over top of potatoes and sprinkle paprika on top. Bake at 375 degrees for 40 minutes or until top is golden. Mix that all up in a bowl. It may take a while and the dough will be stiff. Put the dough in 12 muffin cups. Bake at 350 degrees for 20-25. Let the muffins cool before you take them out of the muffin tin. 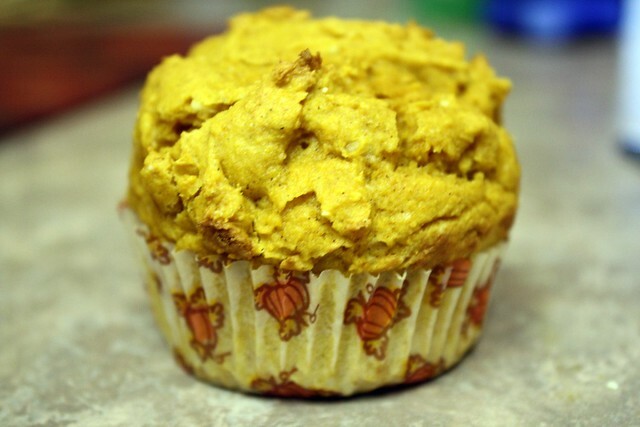 Now what you will have is wonderful, EASY, FAST, moist muffins!!! 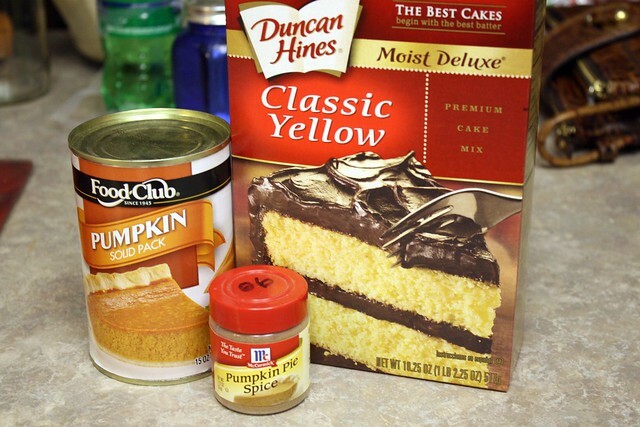 This is a good easy recipe. 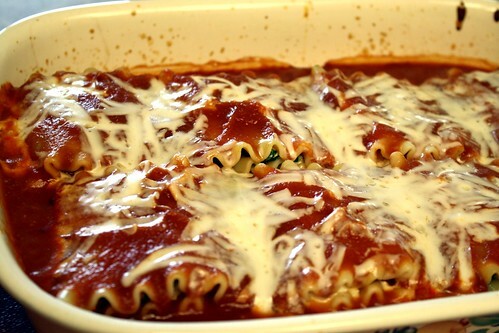 Even though it says to cook this in a 13×9 inch pan, I cooked mine in two 8×8 pans. I froze one pan and the other pan we ate for dinner. I think the 8×8 pan could have easily fed 6 people. 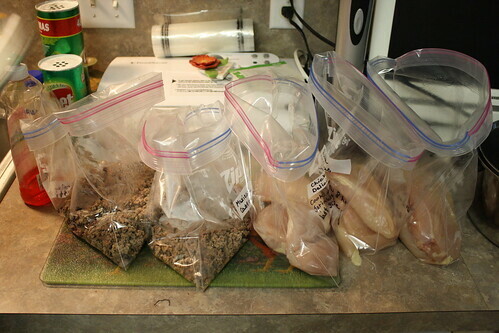 I like recipes that make a lot so I can freeze some for another dinner, especially with the holidays coming up and things get busy. Boil chicken and cut up in bite-size pieces. Saute onion, bell pepper, celery and mushrooms in butter. Cook vermicelli in chicken broth. Discard broth when vermicelli is done. Add Rotel tomatoes, cream of mushroom soup and Velveeta to sauteed vegetables. Stir until cheese melts. 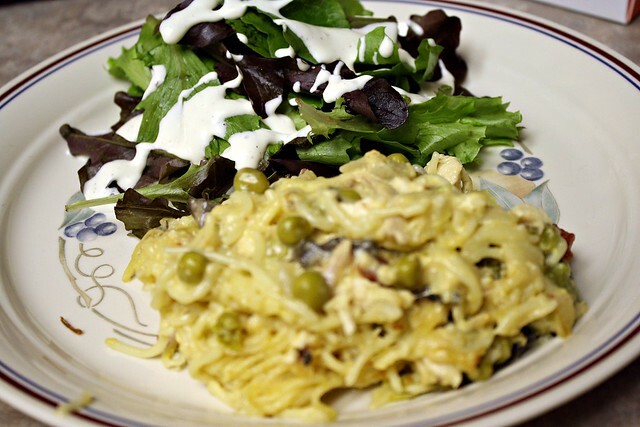 Add chicken, vermicelli and peas. Mix well and pour in ungreased 9 x 13 x 2 inch pan. Bake until bubbly, about 30 minutes at 350 degrees. Can be made ahead and frozen. Serves 10-12. This recipe is so versatile. 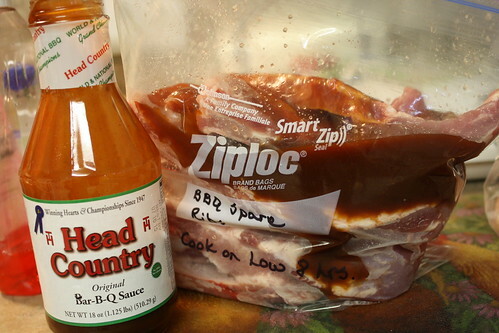 It can be cooked right away or dump it in a freezer bag and freeze it before cooking. It may be put in the crockpot to cook on Low for 8 hours or it may cook in the oven. 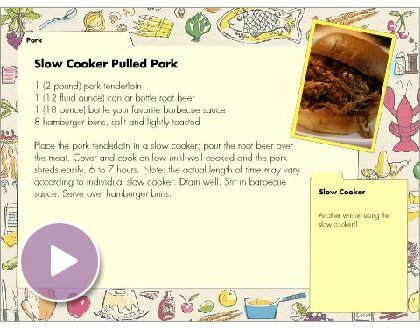 Everyone in the family enjoyed this recipe. I poured it over rice but pasta or spaghetti can also be used. 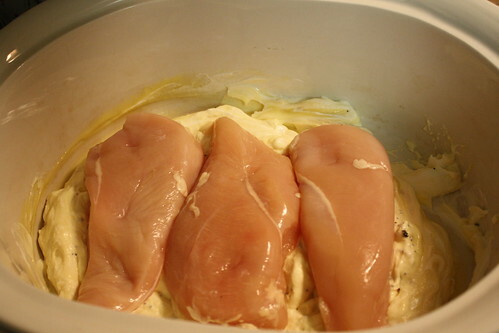 Place chicken in a greased shallow 2 quart baking dish. In a small bowl, combine the picante sauce, brown sugar, and mustard; pour over chicken. Bake, uncovered, at 400 degrees F for 30-35 minutes or until chicken juices run clear. Serve over rice. *Note: After removing dish from the oven I sprinkled the top with shredded cheddar cheese. It turned out wonderful!